Item # 302330 Stash Points: 3,799 (?) This is the number of points you get in The Zumiez Stash for purchasing this item. Stash points are redeemable for exclusive rewards only available to Zumiez Stash members. To redeem your points check out the rewards catalog on thestash.zumiez.com. Create chaos in the Deep Vapor White Hoodie from Civil Clothing. 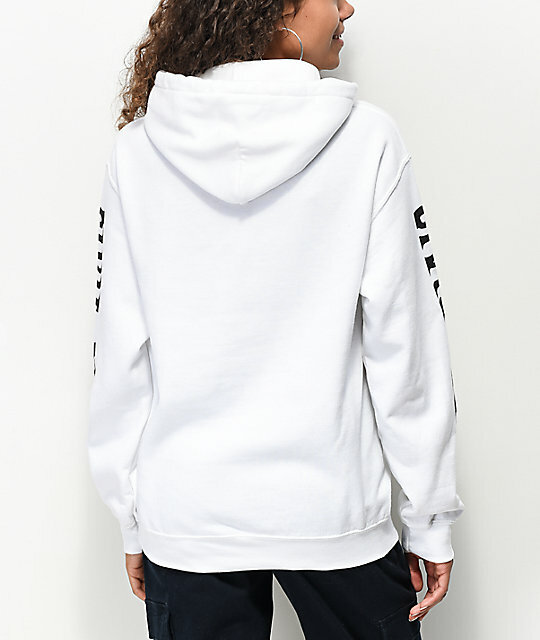 This white hooded sweatshirt offers a soft fleece lined interior and features a colorful Civil graphic at the chest. 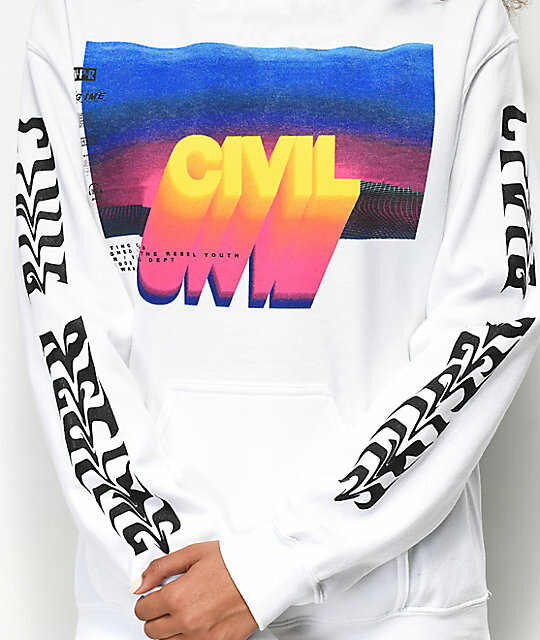 Complete with "Civil Regime" screen printed along both sleeves in trippy lettering, this hoodie is the perfect addition to your closet. 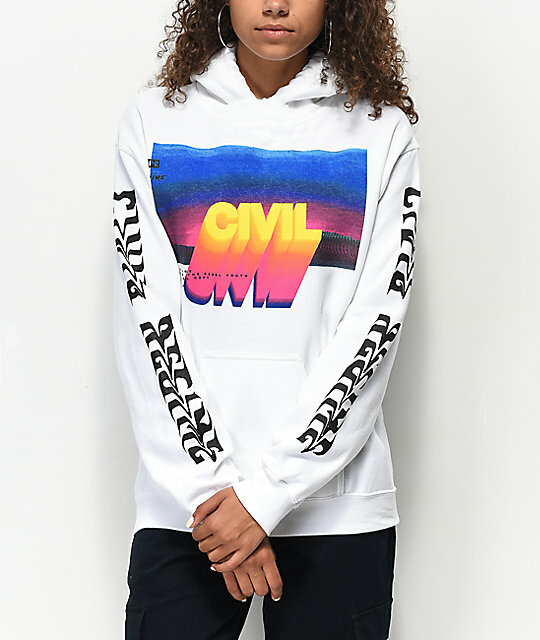 Deep Vapor White Hoodie from Civil Clothing. Screen print graphic on the chest and down both sleeves.